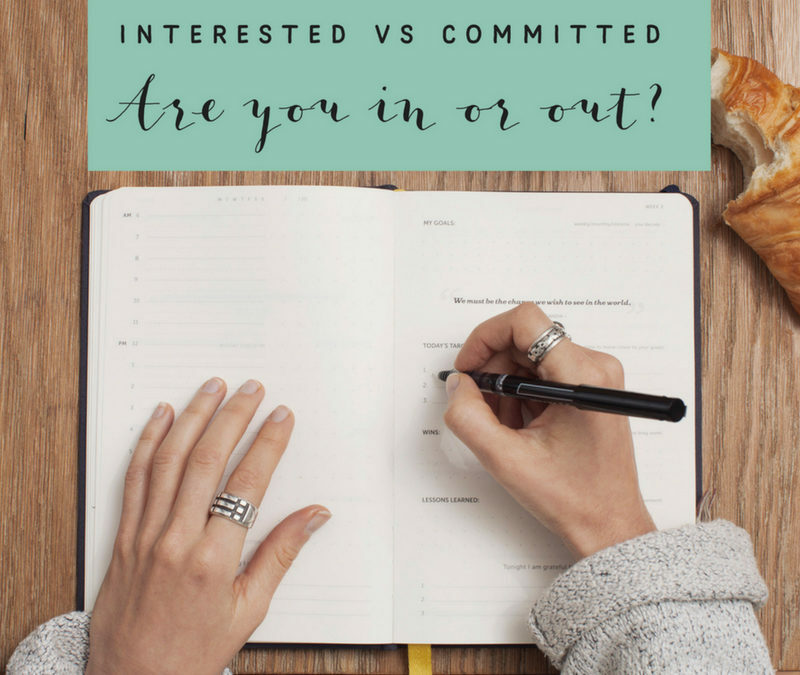 Interested versus Committed: Are you in or are you out? So simple, right? Yet I was a bit stunned in the moment as I started to filter this question through various areas of my business. Where am I committed and where am I just interested? And then, where I AM committed, are my actions lining up to my level commitment? Whoa! So, simple and yet at the same time so powerful. There are only a set number of hours in the day. How we use those hours is in our hands. Am I using those hours in alignment with my commitments? Are my actions aligned with my goals? I came home from that training (Thank you Todd Herman and The 90 Day Year – Yep, I’m a Certified 90 Day Year Coach!) and immediately started evaluating different projects in my business through this filter. I’ve been committed in one key area of my business yet my actions haven’t been aligning with that commitment. Whether it’s written in chicken scratch or on a nice, beautiful tab in your planner, write out your to-do list. Ask yourself, what’s on your plate over the next 90 Days? List everything. Treat this like one brain dump. You want to get everything out of your head and written down in one place. If you already have this in your 90 Day Plan or in your project management system, still take a few minutes to review it and make sure it is complete. If you’re anything like me, there are probably a few things you haven’t written down for one reason or another. Go ahead and add EVERYTHING to the list. Now that you have that handy dandy to-do list all ready, it’s time to really take a look at it. Is what you have written down aligned with your business goals? NOTE: An important side note here… We can tend to place judgement on ourselves in this stage for a long list of things (too much on my plate, not far enough along on x, y or x, should know better, etc) — try not to do that. At heart, this is really an exercise of observation. Go ahead and highlight, star or somehow indicate the things on the list that are aligned to your primary business goal. Go through the items that you have indicated with your fancy annotation and ask yourself: Committed or interested? Again, no judgement… No shoulds… No blame… No nothing… Observation only. That extra marketing tactic that so and so said has tripled their lead gen – you do not have to be committed. You can be but you do not have to be. That new automation tool that your biz bff is in love with – you do not have to be committed. You can be but you do not have to be. The hottest new personal development book that will change your life – you do not have to be committed. You can be but you do not have to be. There are a lot of shiny objects out there – are you committed or interested? Now that you know where you’re committed, take a look at your calendar – do you have time set aside to take action on these items? If not, where can you add some time to dedicate to these tasks? It is great to go through the whole process above but the key to success is taking action. For me, I am committed in one area but I could see that I was not taking action. Was I committed or did I just want to be committed? The key to knowing the difference is in the action. What actions can you take today, tomorrow, this week and this month in the areas where you’re committed? I know it’s a simple exercise but the results can be exponential in helping you stay focused on the areas where you’re committed. And consisted focused action leads to amazing results. PS: I highly recommend checking out Todd’s 90 Day Year program. It’s done wonders for my business. His program launches soon – be sure to click here to get access to the first video in his FREE training series!